Here’s your dilemma: There’s not an AC outlet in sight! 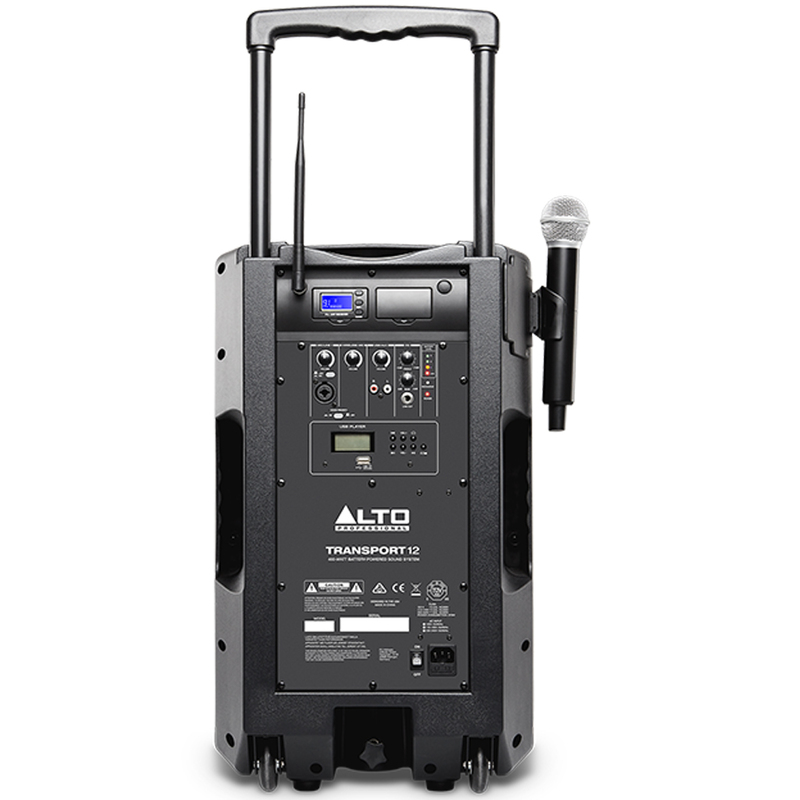 Here’s your answer: TRANSPORT 12 from Alto Professional. 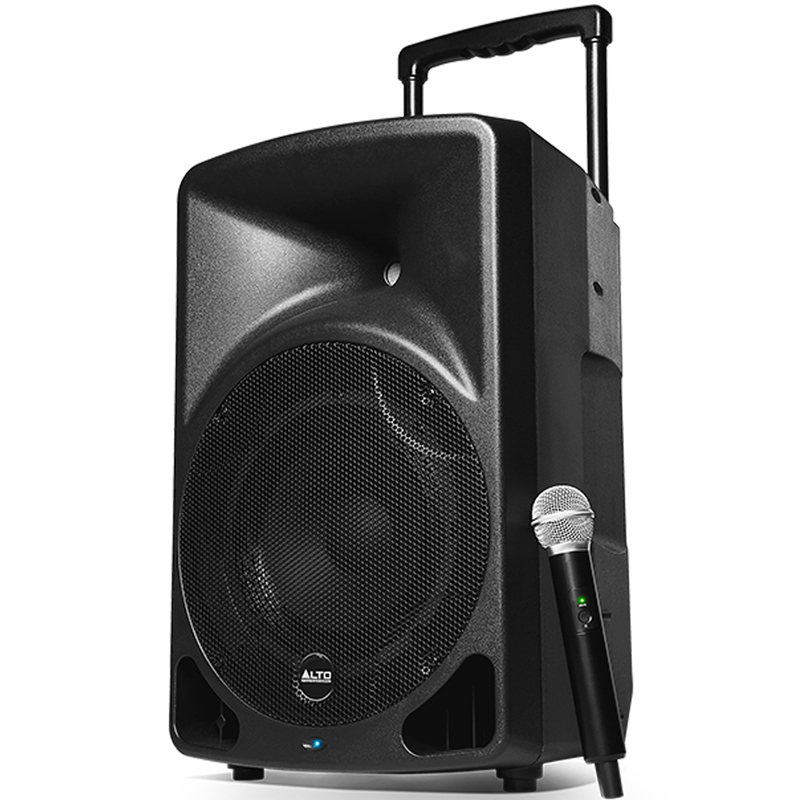 TRANSPORT 12 accomplishes this by operating for up to 8 hours off its built-in rechargeable lithium ion battery, which provides an AC cord-free power supply for its internal 400-watt digital Class D amplifier. The amplifier drives a high-output 12- inch 2-way speaker system in a compact, lightweight enclosure. TRANSPORT 12 can also be plugged into an AC outlet. This means it goes wherever there’s a need for clear, punchy high-fidelity sound. Whether AC power is available or not, it’s no problem for TRANSPORT 12.